Princess is one of a very few King Arthur females to our knowledge in production here in North America. Her first daughter “Kate” is at work for the Kuluk’s at North Battleford, Sask. 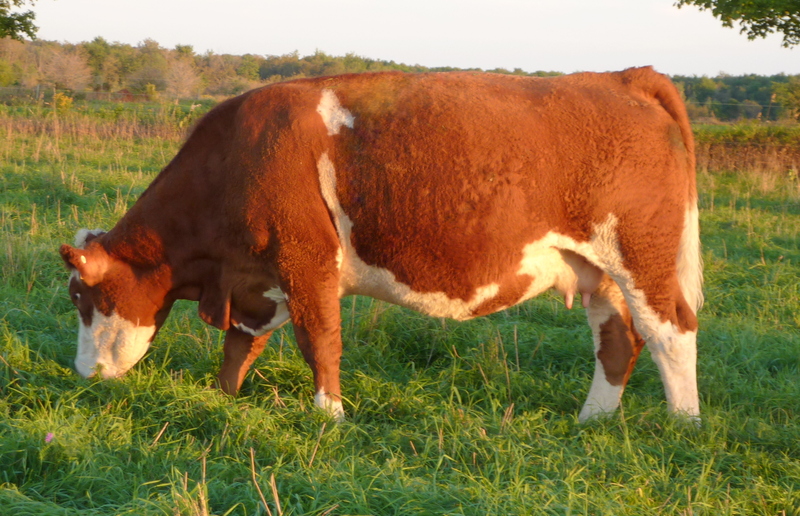 This winter she has presented us with an impressive daughter from our Equinox bull. On the bottom side of her pedigree she has time proven sires, Rickardstown Jumbo and Siegfried. Princess to us has a tremendous up side and is just getting started here at Dora Lee. We are of the opinion that Princess’s sire, King Arthur, is one the best bulls ever to set foot here in North America.